My traffic has dropped since 28th april. prior to that i had installed AMP and it had suddenly increased like anything. I searched and searched and finally it clicked me that i had upgraded Yoast plugin the same date. Now the traffic is going on dropping and i am on May 1. Any idea how this can be happening? My url is http://www.marketing91.com I dont think it is a partial update. Should i export my settings, delete and reinstall yoast and then try again? I was getting lots of apache2 segmentation errors that consumed all the memory and them forced ubuntu to halt mysql. i have everything upto date in ubuntu (apt-get upgrade) and all plugins and running latest wordpress. Anyonel else having wordfence yoast memory issues ??? I already completely uninstalled and reinstalled Yoast 3.2.4, purge WPEngine cache, but it didn’t helped. 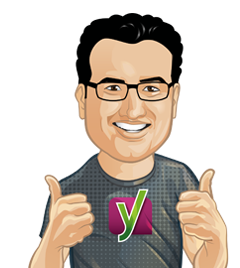 Note: If I deactivate Yoast, all messages are gone. Your new update crashed my website and now I cannot get it back up. I need to know what I have to do to fix it. My website worked perfect until trying to install the update. I’ve updated the plugin but it keeps my wp dashboard keeps on saying there’s another update when there is not. Also, every few days the plugin keeps on asking me to update it, I do, and its successful but that extra update still hangs around…its weird like it’s on a merry go round and it cant get off. I’ve got 4 wp sites its doing the same thing too. is there any suggestions to this? However, it looks like the focus keyword in the alt tag of my image is not being recognized. It says (in Dutch): “De afbeeldingen op deze pagina bevatten geen alt-attributen met het trefwoord.” – while the focus keyword is the same as the alt tag of the image on my page. 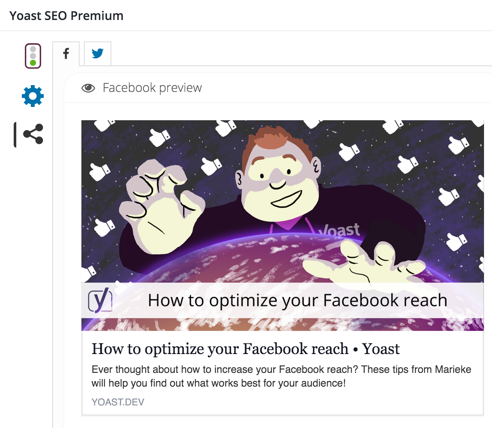 I bought Yoast SEO Premium on Monday 11th April (two and a half weeks ago), because I had a big problem with my page edit grinding to a halt (Divi). I thought that becoming a Premium customer would at least get me some urgent support. I had to wait 6 days before I received a response, which was effectively that they did not know how to fix the problem (which has been widely reported by Yoast users since last November), and that instead they recommended I should switch off Yoast so that it did not update in realtime when I was editing a page. I did this and every single Yoast analysis dissappeared from every single page, which is completely useless. So I reported this and the next thing is that last Thursday Yoast support asked for access to my dashboard. I had another issue to resolve which meant that I did not reply until Saturday. Also, in the meantime, Yoast Premium 3.2 was launched, but when I clicked update in the plugins section of my dashboard, nothing happens. 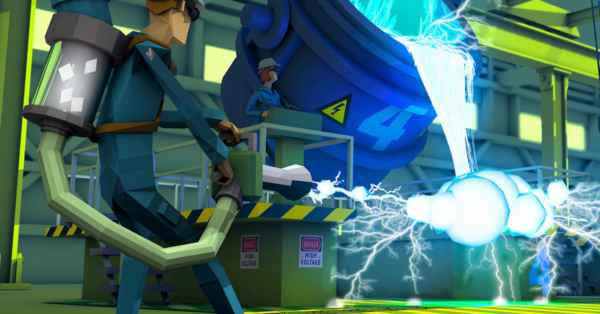 The Yoast plugin just will not update to the latest version. So I mentioned this when I responded on Saturday. Guess what? I have had no reply. I have sent reminder emails to them, sent messages from the question mark in SEO on my dashboard, I have tried contacting them via the contact facility on their website. And . . . . . . . .nothing! just complete blank. So this is what you get for your Premium Licence. Just lack of respect and lack of response. The Yoast plugin has not worked properly on my site since the day installed the free version, four months ago. I specifically asked Yoast support to turn around my jaundiced view of their product and support by sorting this out quickly and effectively. So what have they done? Just the opposite. Is this the psychology of how to win good customers and how to keep them satisfied? Apologies for the delay and your overall experience so far. We agree with you, this is not what you should expect from Yoast support. We’ve replied to your email and will continue to work with you to resolve the issues you encountered. Ik heb problemen met de nieuwe update 3.2. Sinds ik deze update geïnstalleerd heb doet de contentanalyse het niet meer. Ik zie dus een rood bolletje bij SEO staan. De andere doen het nog wel. I really like a nice feature (Premium: Social previews) . Same thing for myself and all my friends and clients. Everything is just blank none of the videos are showing up. I came here to even watch your main video. I am so sorry I tell everyone to use yoast because it is the best and now everyone is yelling at me. Please fix this. Everyone I have turned on to yoast is saying they can’t live without it and i am scared to tell them to spend the money to go to premium if the basic doesn’t even work now. I can give screen shots if that will help. After updating to 3.2 my backend is white! I have only the navigation bar on the right. Disabling the Yoast Premium plugin brings back the administrator again. Any solution?? could you delete the plugin entirely and reinstall it, see if that helps? I’m not able to access my dashboard to deactivate the plugin either. Can you please let me know what I need to do to get my site back? remove the plugin and reinstall it, sounds like you suffered from an incomplete update. 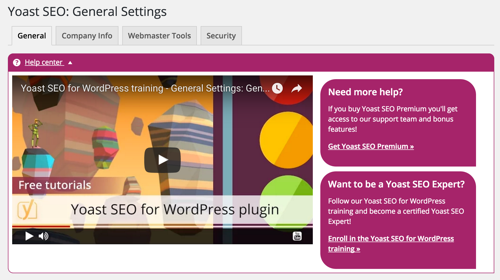 It seems that the message that pops up saying “Yoast SEO has been updated to version 3.2.3. Click here to find out what’s new!” does not disappear. It keeps showing up on every single page on the admin area. This is becoming annoying and it would be nice if it gets fixed. Latest update does not seem to fix it. This should be fixed in Yoast SEO 3.2.4. I just updated to 3.2.4 and it does not seem to be fixed? kind of sad to hear that. Do you have any object cache or other cache running? If so, could you try clearing that? I already tried that. I have w3 total cache installed. I cleared the cache and I even tried deactivating the plugin. However I still get the message. Why in this version do not work the options to hide RSD Links, WLW Manifest Links and Shortlinks? – Snippets does not work, traffic lights not working. – Switch from “view” to “text” does not work in the articles. – Pull-down menu (wp-admin) does not work with active Yoast. How can i fix stop word . I have checked permalink . I have faced this problem after updating my Yoast SEO plugin . Please let me know . Most of my appthemes based sites dashboard is breaking at top. 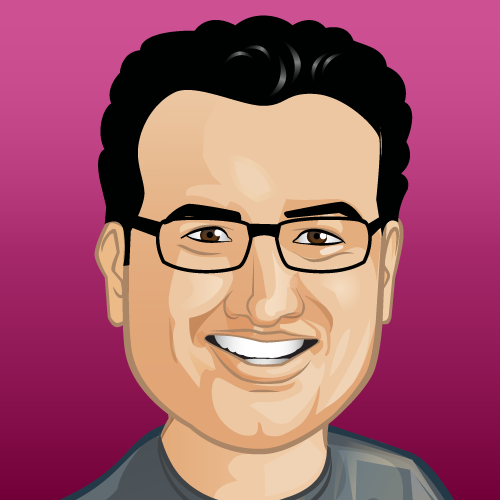 And I have one long time wish for upcoming updates in Yoast. I want to combine Title from Yoast settings + Custom Post Seo title. The successful update notification won’t go away, despite clicking on the “x.” This is with the latest version of both the plugin and WordPress. I have one problem with the 3.2 version of your awesome plugin. For some reason, the post-sitemap.xml file is showing my homepage. Not only once, but twice: https://authoritynutrition.com/post-sitemap.xml. It also shows once in the page-sitemap.xml, which is normal, but I don’t think it should be showing in the post sitemap, let alone twice. 3.2 Hangs the WP dashboard. I reverted back to 3.1.2, dashboard is back. How did you do that? I have the same issue and I don’t know what to do to revert it back to 3.1.2…. Unfortunately having the same Permalink issue. All permalink are not working properly except for the home page. 404 errors on all pages after the update. If I switch to numbered permalink the pages load but I do not want to use numbers for the permalink. Strange. Trying to back up to previous version now and hoping not to lose everything. Same issue here. A few minutes after updating Yoast SEO, all pages and posts turned 404, while the homepage still worked. I’ve deactivated and instantly the pages load as expected. Works fine for me thank you, just wondering about G+ dwindling. After updating 3.2.1 I am facing problem with my site. I can’t edit any page or post after updating yoast seo. Can you tell me why I am facing this types of problem. And can you tell me How can I back 3.2 version. Is it possible ? Na de update werkt de Contentanalyse niet meer. Zie niets maar daar staan dus weet ook niet wat ik dan moet aanpassen om een goede SEO te krijgen :( Hoop dat je me kan helpen. Hier helaas exact hetzelfde probleem! Het focus keyword werkt ook niet meer. Ik hoop dat er snel een oplossing voor komt. We hebben het probleem gevonden! Door een fout in de Nederlandse vertaling (ja… echt!) komt er een % te weinig in het vertaalbestand en dat levert een error op. Er komt vandaag een update met een fix! Welke versie wordt dat dan? Ok, super weird. I just randomly decided to attempt to activate it again, and it just decided to activate. I guess the 4th time was the charm. I’ve run into a problem as well – when I first tried to update the plugin, it was giving me a line error that I forgot to copy and hang onto in the Yoast admin. So I deactivated it, deleted it and reinstalled it from the repo. This is a single site, with almost nothing on it since it’s only a week old. Our other single seems ok and our MU doesn’t appear to have any issues either. Could you direct me to someone who could answer this ? Why does Yoast tell me that my keyword is not in the first paragraph when it is and sometimes the first word. Title don’t work how can we fix please let us know ? My title doesn’t work how can i fix them please help me . not working for me either –crashing the editor. is there an easy way to roll it back? Hmm that’s not good, checking with our team. Hi, when I update Yoast SEO to version 3.2 my sitemap.xml is not visible anymore I get 404 error. Redirect from sitemap.xml to sitemap_index.xml is missing. Can you fix this in next version? Can you go to settings ? permalinks and see if it works better after that? No, I try to regenerate Permalink Settings and update to version 3.2.1 but still no changes! New version 3.2 is not working well. Category select not working focus keyword option not working. Not sure what could cause this. Can you see any errors in your JS console? The console shows: wp-seo-post-scraper-320.min.js:4 (3) Uncaught [sprintf] huh?